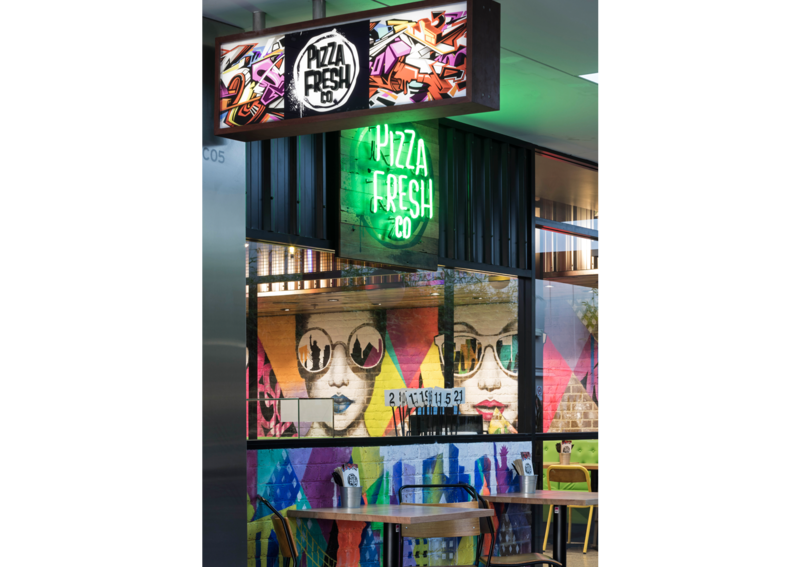 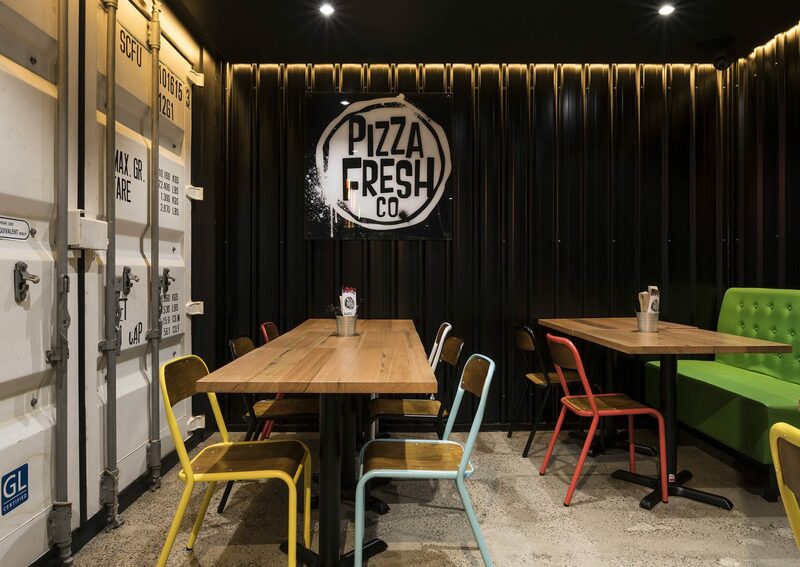 Pizza Fresh co a young, energetic and bold brand who are reinventing the pizza culture by offering made to order pizzas in just 90 seconds. 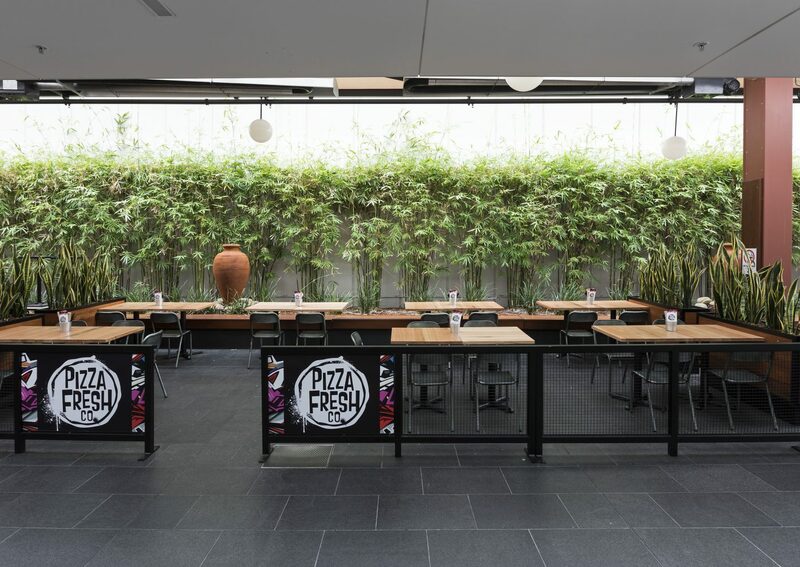 It will showcase the fresh produce which are used in making their signature pizzas. 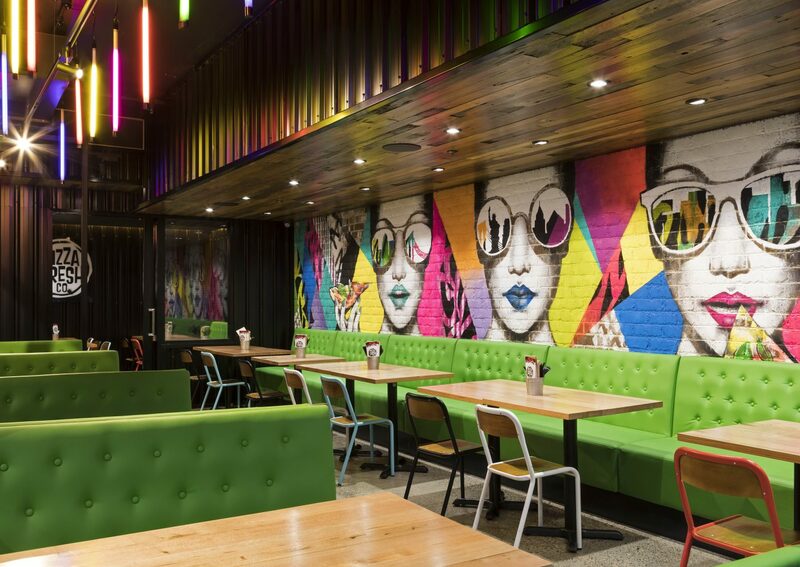 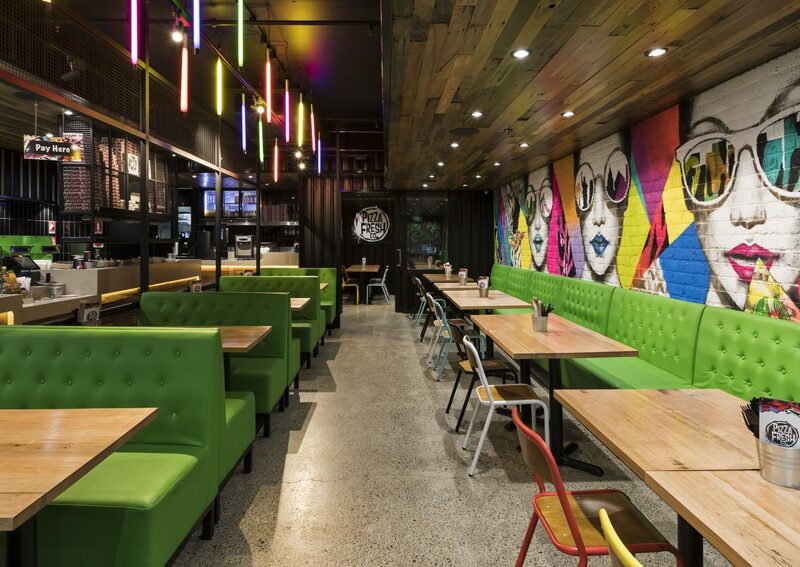 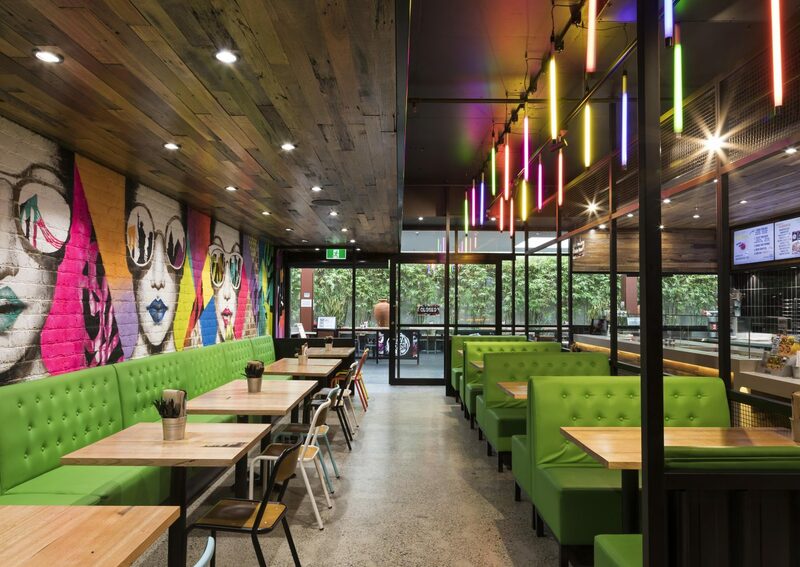 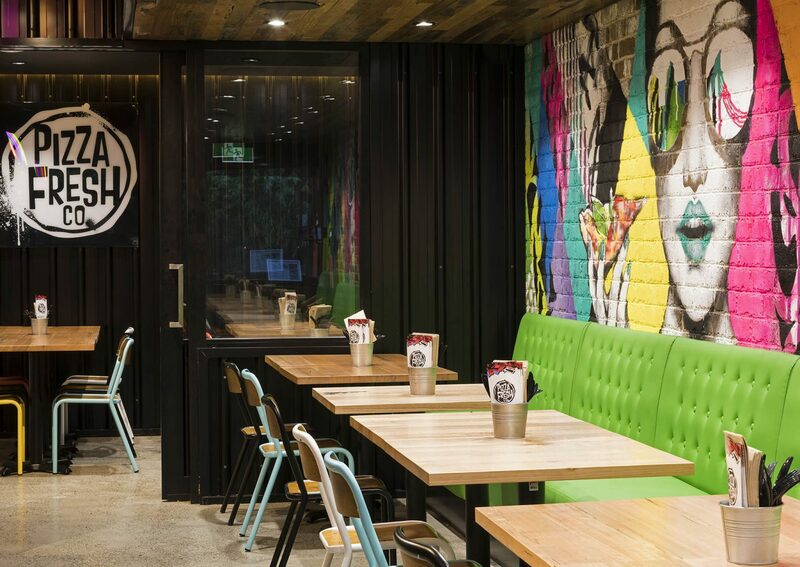 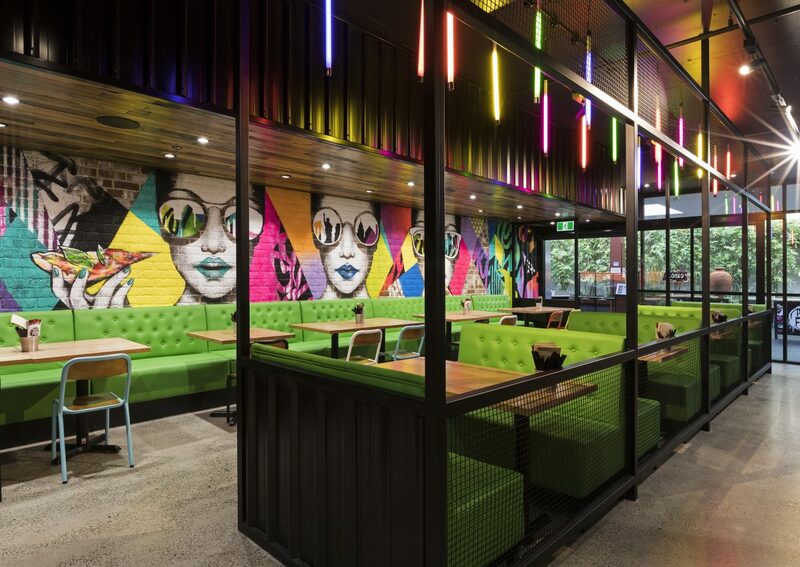 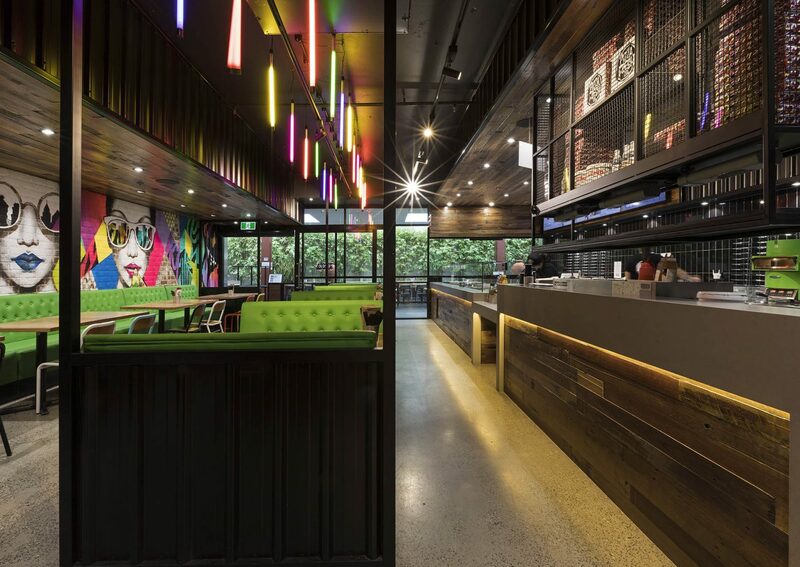 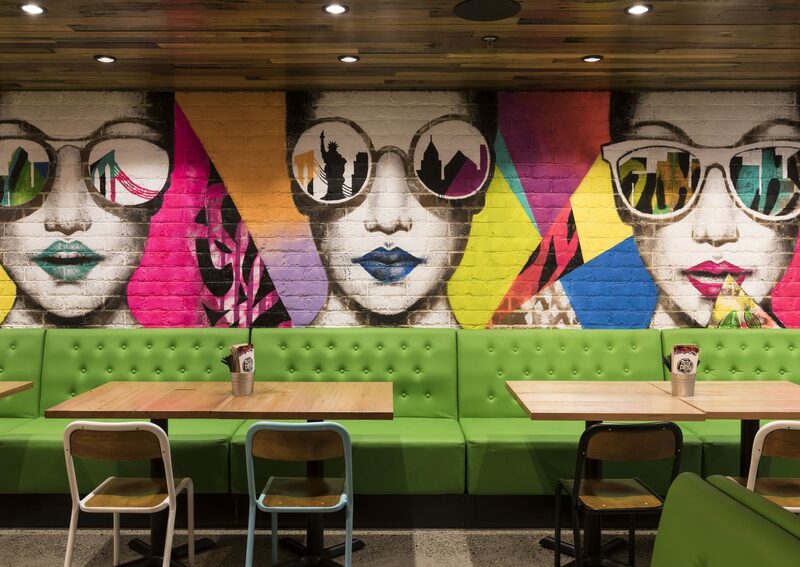 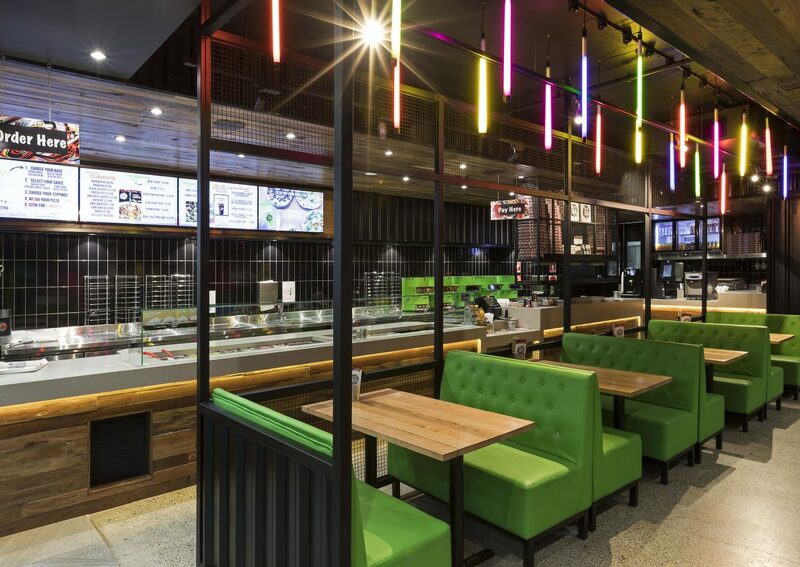 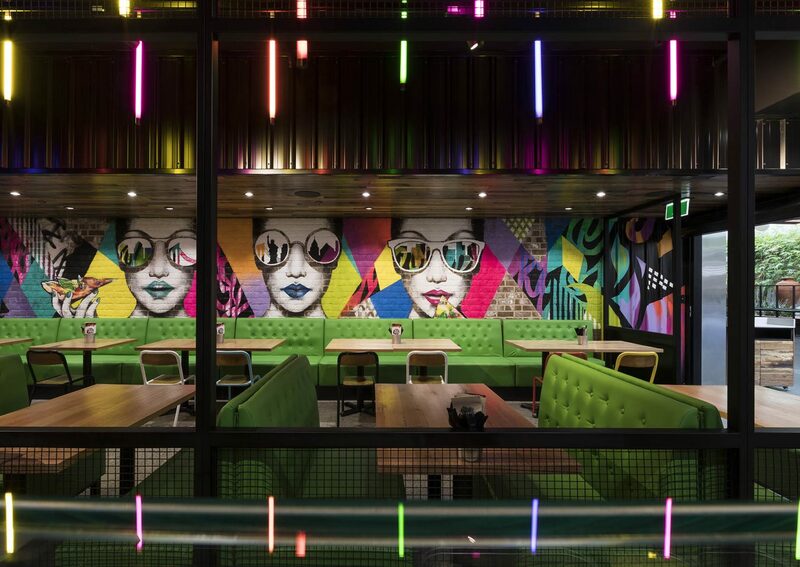 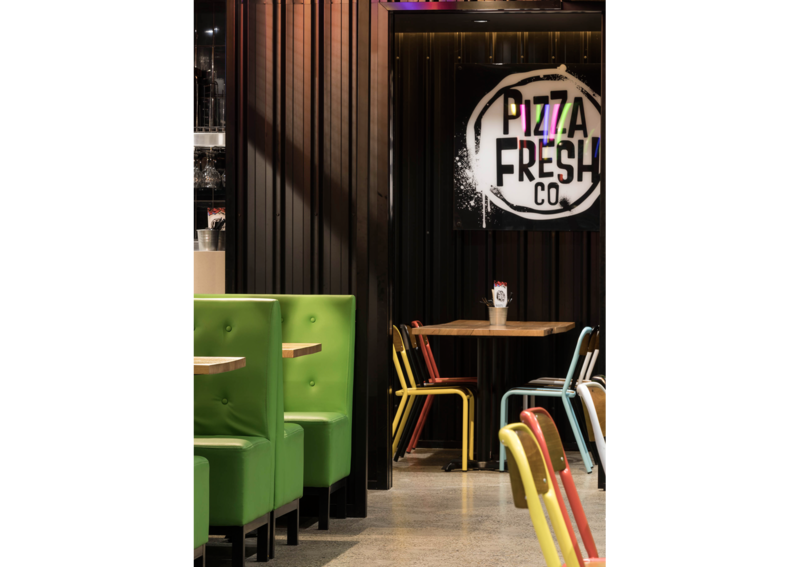 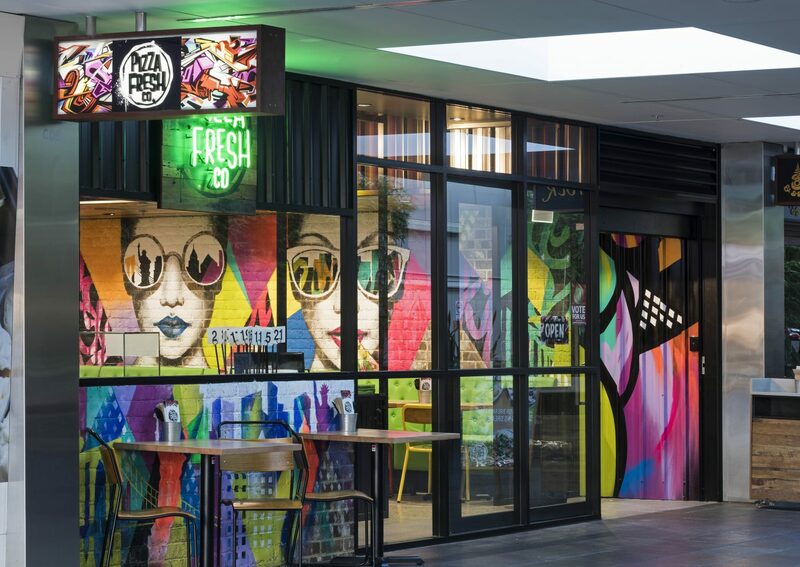 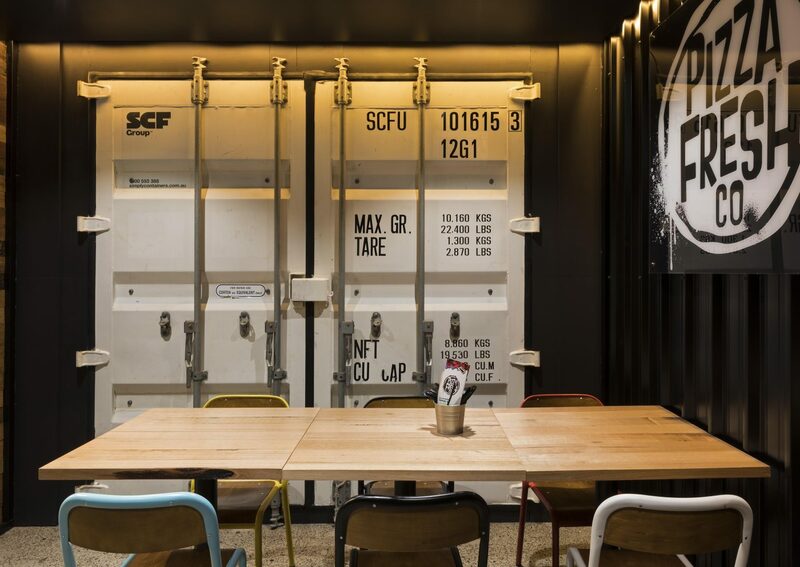 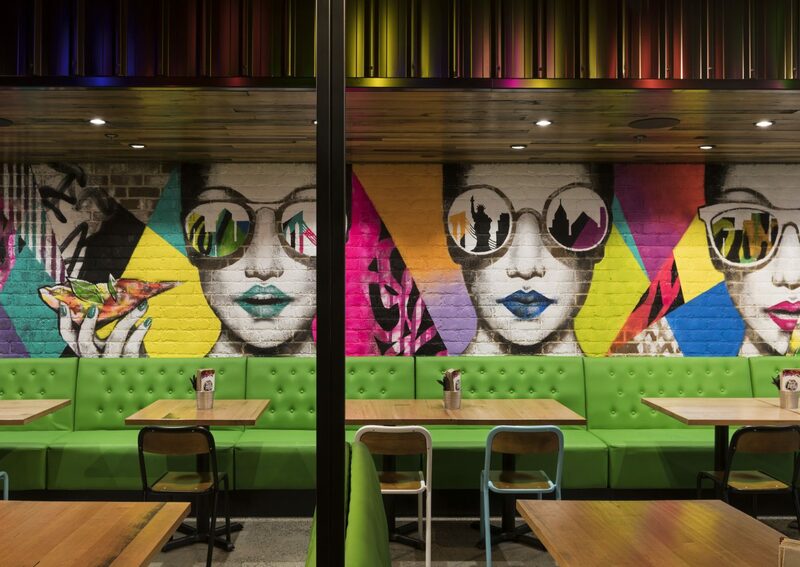 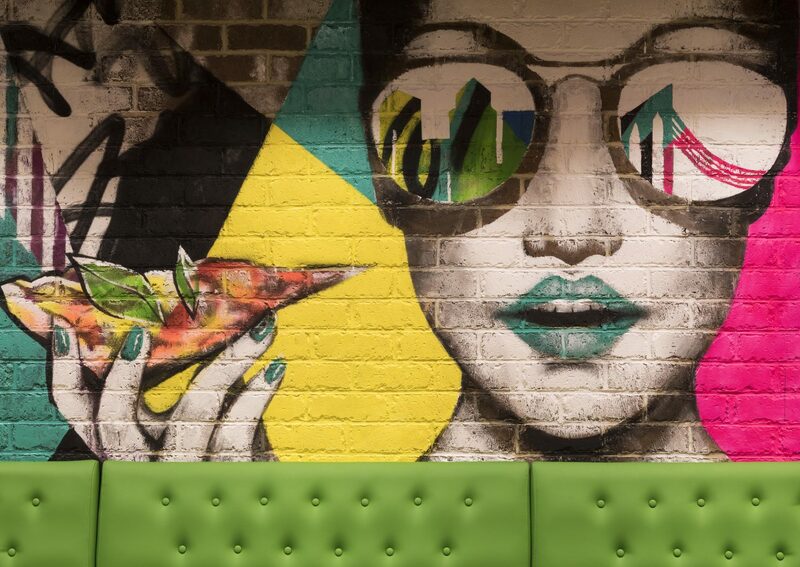 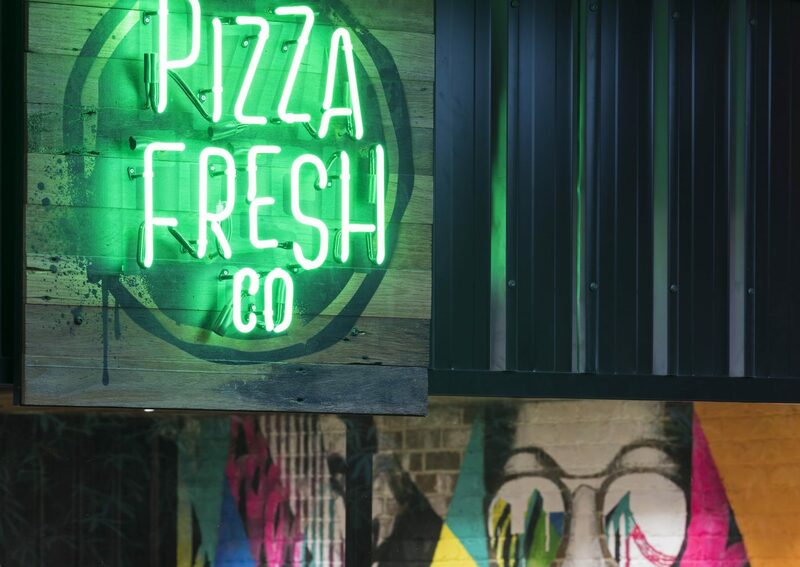 Influenced by the 90s hip hop culture, hints of bright green colour tones graphic artwork feature will be used throughout the interior to highlight the company’s idea of ‘fresh’ and contrast with the neutral palette of black, white and oak timber.